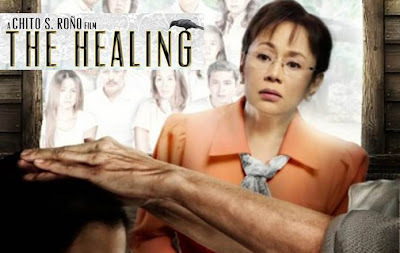 The Healing (Star Cinema) starring Vilma Santos and Kim Chiu had already grossed P85.97 million on its 3rd week of showing according to the data provided third party tabulator Box Office Mojo (BOM) for the period of August 8-12, 2012. The Healing managed to add more than P11 million on its 2nd week gross of P74.4 million despite the premiere of highly-anticipated movie The Bourne Legacy which was partly shot in Manila and Palawan. The latest installment from the Bourne series was a blockbuster hit raking in P100.68 million on its first week of showing in more than 300 theaters nationwide. With the entry of The Bourne Legacy, Disney's Brave and Step Up Revolution slipped to numbers 2 and 3, respectively with The Healing also down at no. 4. Here are the top 8 movies in the Philippines for the period August 8-12 according to BOM.